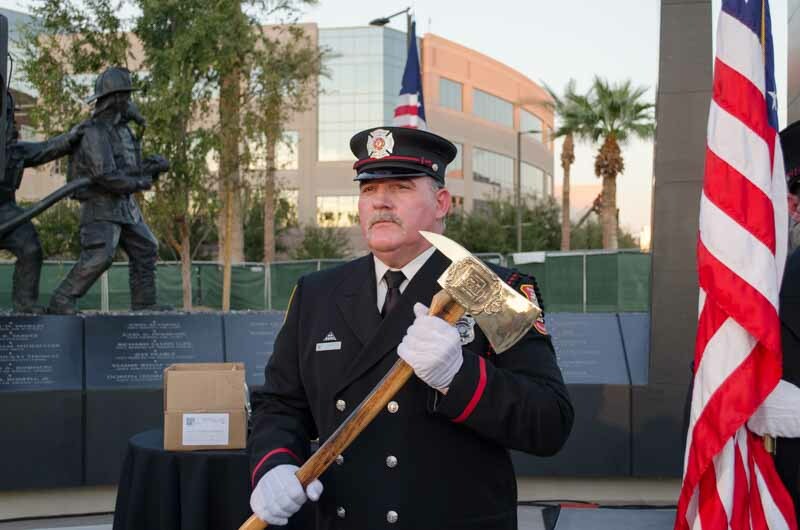 The Arizona Fallen Firefighter Memorial at Wesley Bolin Plaza was dedicated October 18, 2016 with names and departments of 119 Arizona firefighters and paramedics who died in the line of duty since 1902. Approximately 600 people attended the dedication and more than 32,000 have visited the memorial since. The Memorial was 20 years in planning, 5 years in design, 4 years in fundraising and one year in construction. Approximately $1.4 million was raised and expended from more than 125 Arizona corporations and more than 8,600 individuals. However, only nine of the ten planned life size bronze statues have been completed. The tenth is in pieces in a Tempe foundry. Six small bronze plaques with public information have yet to be installed and other minor finishes have yet to be completed. In addition, four names of Arizona fallen firefighters have yet to be considered for addition to the memorial. 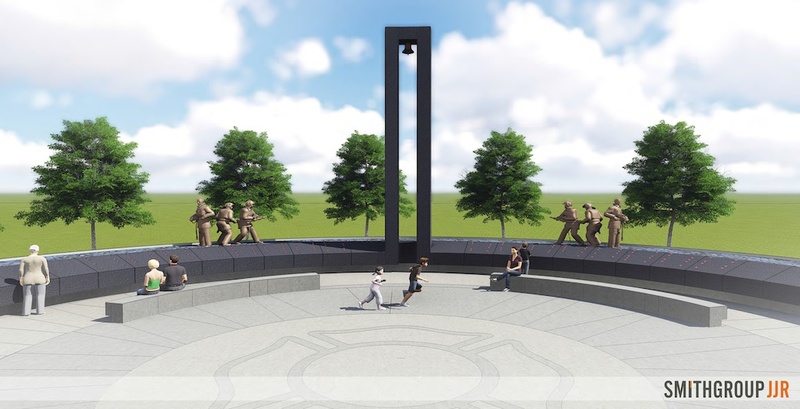 Currently more than a quarter million dollars is owed before the memorial can be completed. Approximately $38,000 is in the existing account. In 2015, Fry’s Food Stores assisted in raising and contributing $127,000 to the Memorial. In 2016, Fry’s Food Stores have again volunteered to raise funds with a target of $180,000. From June 19 to July 16, every Fry’s Food Store will collect contributions at every cash register and at coin boxes within the stores. HOW CAN ARIZONA FIREFIGHTERS HELP? FIRST, Fry’s cashiers and staff are key to making this fundraising drive successful. Every time firefighters shop at a Fry’s Store, take time to thank the cashiers and staff. Take time to say hello to patrons and thank them for their support. Ask family members to shop at Fry’s and donate their change. Tell friends and neighbors about Fry’s and encourage them to stop by. In addition, Tom Caretto, Phoenix firefighter (480.286.9923, <http://www.privatedaddy.com?q=CndZaxhBTEgrGmMmZQxmNmMzZW91_19>), is coordinating efforts to have a fire truck park outside Fry’s stores and have firefighters greet patrons as they enter. This can be done for an hour or two or however much time you can give. We will notify local press and may get coverage as well. The following dates are available at all Fry’s Stores across the state for a truck stopby. Please contact Tom and choose one OR MORE dates to be at a Fry’s store near your station. There are 119 Fry’s Food Stores across our state. Surely there is one near your station(s). Tom has a list of all the fry’s Stores. Your help in this effort is essential. SECOND, the Memorial will need a small continuing fund to, sadly enough, enter new names of Arizona’s Fallen as it becomes necessary. An account has been established under the Phoenix Firefighters Charities account to hold such funds needed. There will be written rules determining the expenditure of such funds. Once again, Fry’s has an answer. Phoenix Firefighter Charities will join the Fry’s Community Rewards Program. For every firefighter and their friends who sign up for or already have a Fry’s customer card, a portion of every dollar you, your family or your station spends at Fry’s will be donated to the Arizona Fallen Firefighter Memorial. It’s simple to apply at fryscommunityrewards.com. PFFA will give you the Memorial Loyalty Number which you will use to fill out your Fry’s customer form. Just present the card upon checkout each time you shop. More information will be provided later this summer. It doesn’t cost a penny and will provide a small, perpetual support stream for the Memorial. Forms will also be available from Tom Caretto. Thank you for your continued support of the Arizona Fallen Firefighter Memorial.